Art deco provides the beautiful inspiration for this bridal ring set. The bands are crafted of the finest sterling silver for a modern look that is crafted with art deco design. 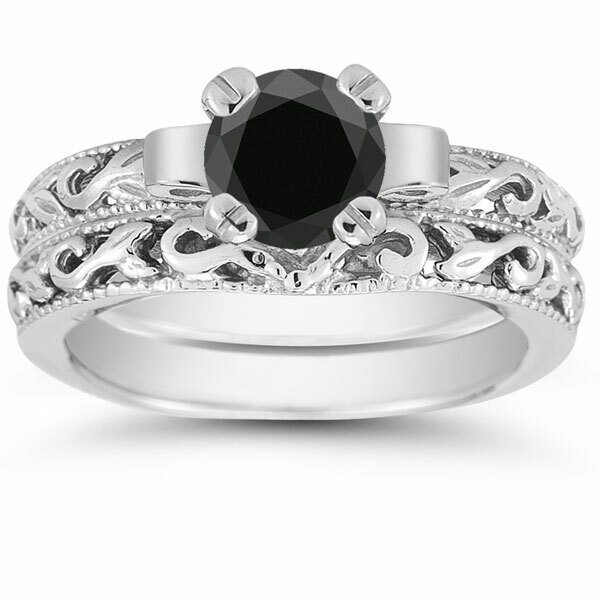 These two silvery bands keep the look clean for the centerpiece of the ring set: a black diamond. The black diamond is a stunning precious gemstone and measures a carat for the perfect size. 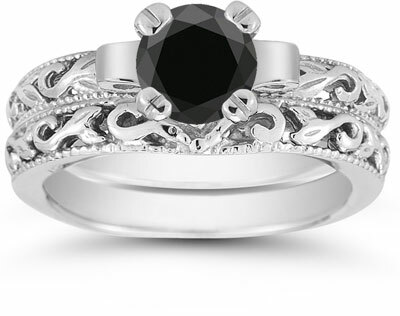 The gleaming sterling silver and the striking black diamond together make for the perfect art deco style. We guarantee our Black Diamond 1 Carat Art Deco Bridal Set in Sterling Silver to be high quality, authentic jewelry, as described above.